#ThisIsMyHustle Lets Nigeria's Youth Brag About Their Many Jobs : Goats and Soda Across the country, young people are proudly sharing their side hustles and main gigs, from baking wedding cakes to growing ginger to laying tile. 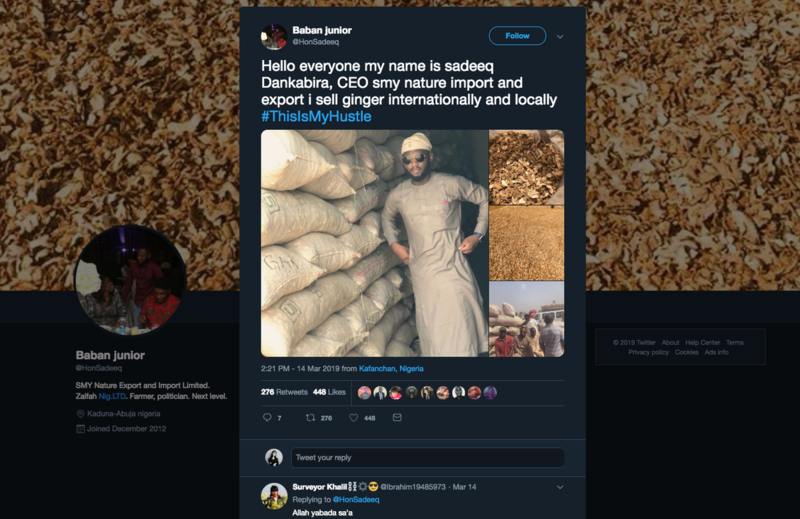 Sadiq Muhammed Kabir, 24, runs his own import-export business selling ginger root in Kaduna, Nigeria. He shared his "hustle" on Twitter. 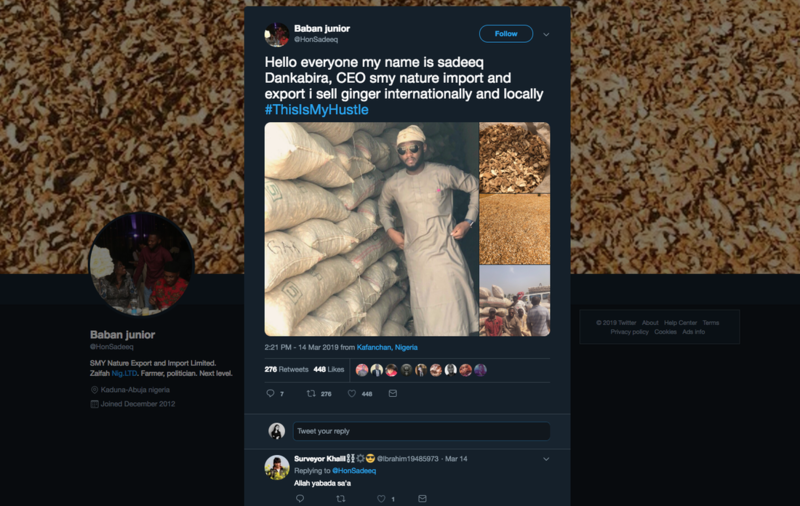 He was just expecting a couple of dozen people in his network to tweet — but within an hour, he says, the hashtag went viral in Nigeria, prompting thousands of responses. People started sharing posts that promoted not just their side hustles but also their main gigs, from coding to baking to making art. My name is Ruqayya and #ThisIsMyHustle A homebased pâtisserie located in kaduna. 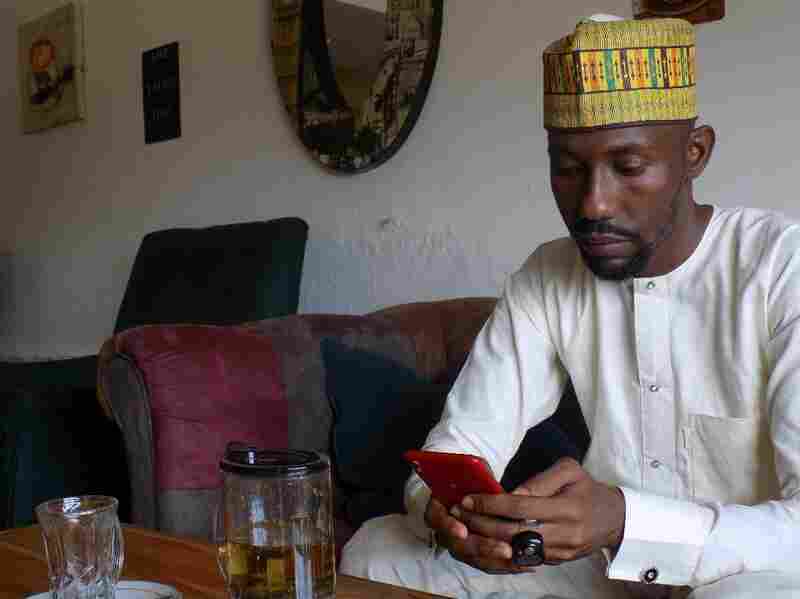 Sadiq Abubakar, the Nigerian entrepreneur who started the hashtag #ThisIsMyHustle, says that he does much of his business on his mobile phone. Esther Ngumbi is a researcher at the University of Illinois and a New Voices fellow at the Aspen Institute.